https://s3-ca-central-1.amazonaws.com/media.ogdolls/20180920183941/BD37395-My-Sweet-Canopy-Bed-Pink-Main%403x.png Category: House and Home. 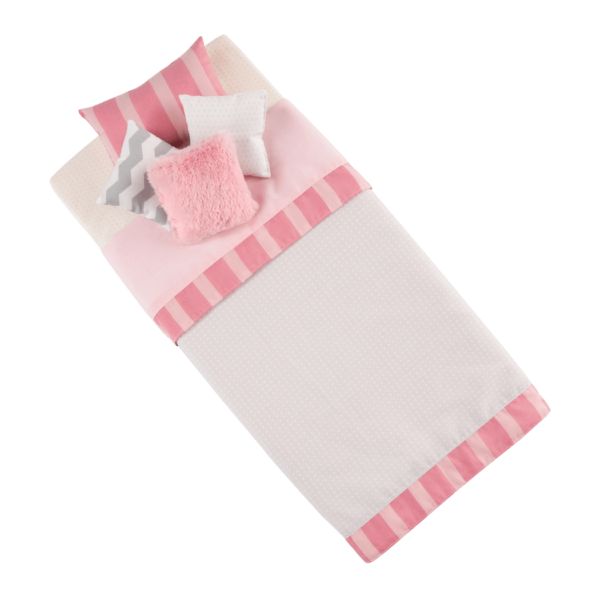 Sweet dreams and cozy slumbers for your 18-inch doll! A cozy place to cuddle up with a good book or tuck in for a good snore. 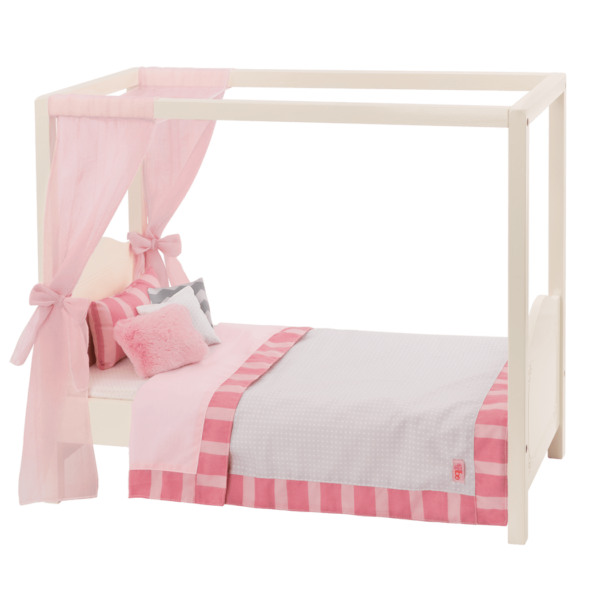 Sweet slumbers are coming your way with the beautiful pink-and-white striped Our Generation My Sweet Canopy Bed for 18-inch dolls. After all, whether awake or asleep, chasing dreams is what OG girls do best! Because we girls sure know how to shine. Whether we’re washing cars to support animal shelters, writing letters to help save polar bears, or reminding our parents to recycle their newspapers, we’ve proven ourselves both smart and full of heart. Our eyes are wide open, ready for anything. (When we’re not sleeping, of course.) This is our time. This is our story. Bedtime Fun for 18-inch Dolls! 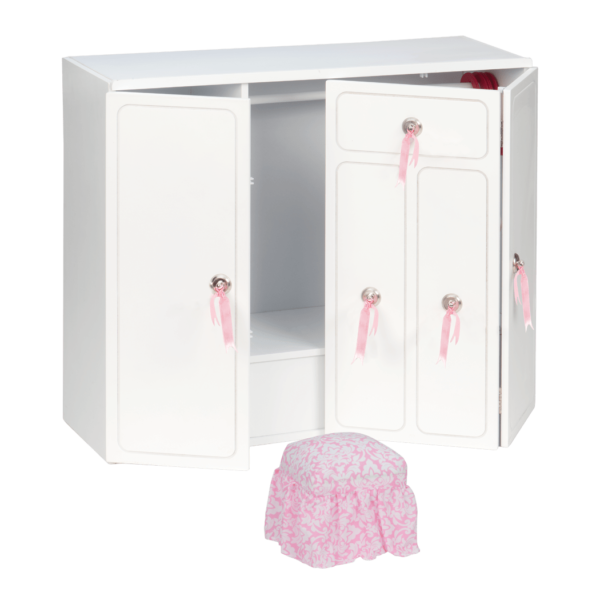 This doll’s canopy bed set comes with a wooden bed frame, foam mattress, pink curtains with bows, a pretty pink, white, and light-gray polka dot and stripes bedspread, a large striped-pink pillow, and three smaller accent pillows. The sturdy, lightweight wooden construction makes this toy bed something you’ll want to pass on from this generation to the next. 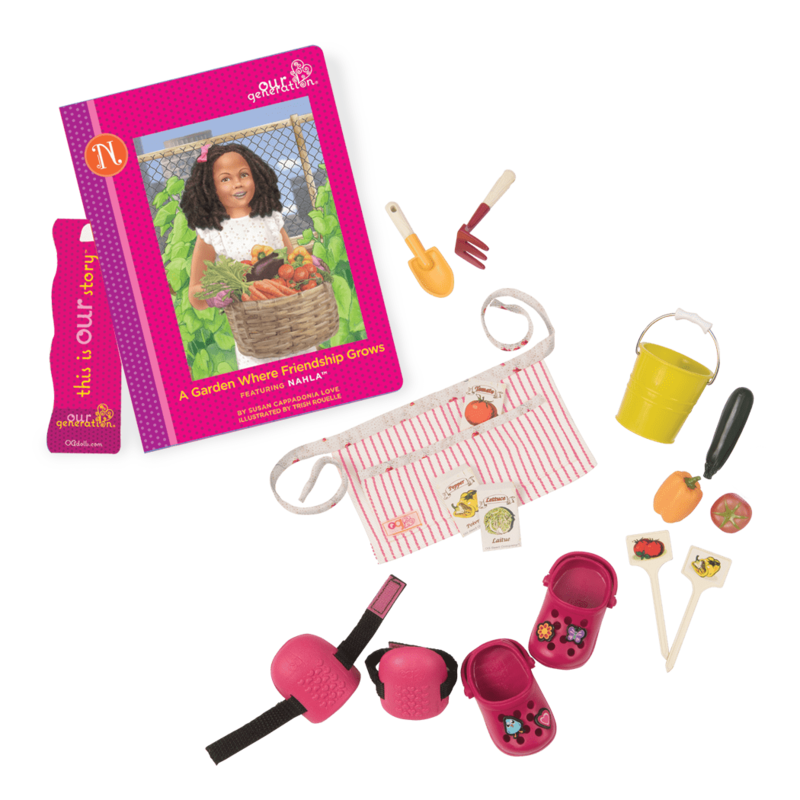 Have you met Arianna, the doll in the pictures of the My Sweet Canopy Bed? 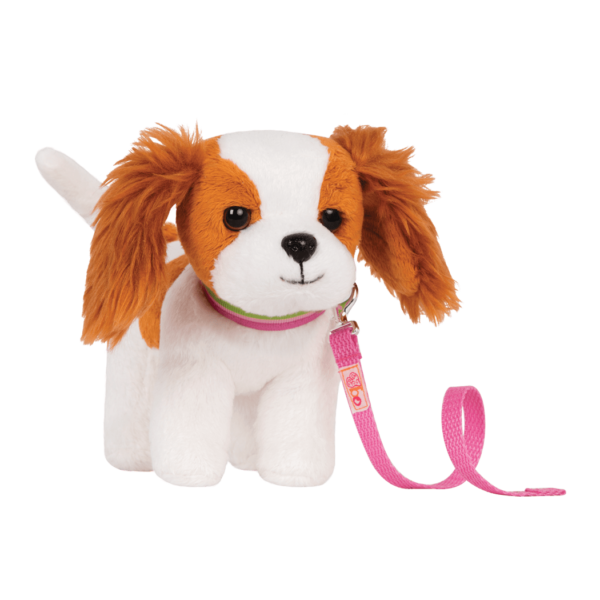 Arianna is a beautiful 18-inch doll with light-brown hair and brown eyes. She LOVES sleepovers! And the Summer Sleepover outfit is just right when your doll needs a cozy and cute pajama set. 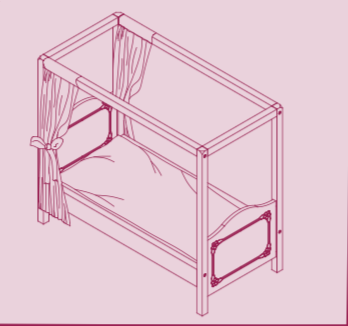 To make the most of your My Sweet Canopy Bed for 18-inch dolls, it is very important to assemble it carefully. Please make sure not to force any pieces into place during assembly, and be careful not to drive the screws in on an angle or too deep as it can crack the wood. The most prettiest bed in the world. And since Emma likes pink, I got this bed. It is really pretty and really good quality.